To do their jobs, law enforcement officials need to always be ready. And when it’s needed, officers need to access riot gear quickly. Due to lack of space or funding, many law enforcement facilities find it difficult to store gear and equipment like riot shields, ballistic vests, helmets, etc. efficiently and securely. 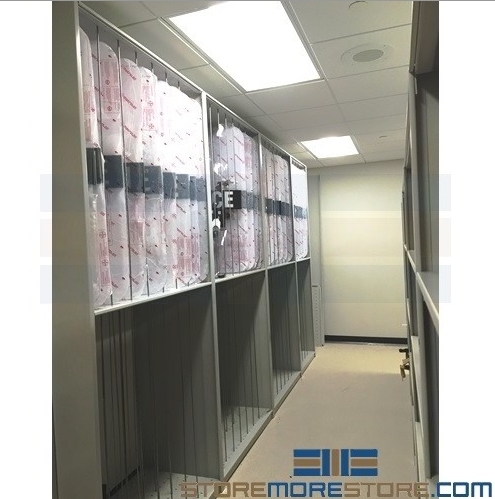 Riot shield and ballistic vest racks offer a specialized storage solution for these difficult items that avoids stacking, stores them in a small footprint, and allows for fast access. Incorrect storage such as piling and stacking shields and vests on top of each other causes damage to this vital and expensive equipment. And without an efficient storage system, this equipment is difficult to retrieve and account for. It’s difficult to see how much equipment is available or in use at one time. And when officers need this equipment, there’s not an efficient system that gets them in and out of the storage area quickly. This situation not only delays response time, but is frustrating for officers. However, many law enforcement facilities simply don’t have the space for dedicated riot shield and vest storage. 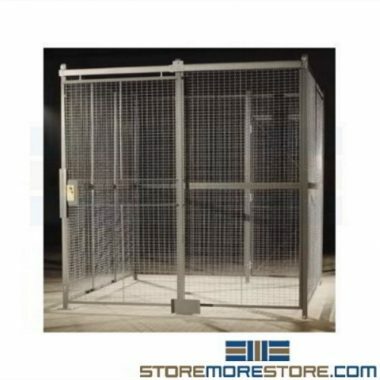 These riot shield racks are a great solution for both space, organization, and security concerns. With partitioned top and bottom shelves to maximize space, you can store more in a smaller footprint. Racks make it easy to organize so officers can easily see how much equipment they have with just a glance. And an organized gear storage system makes retrieval fast and easy. 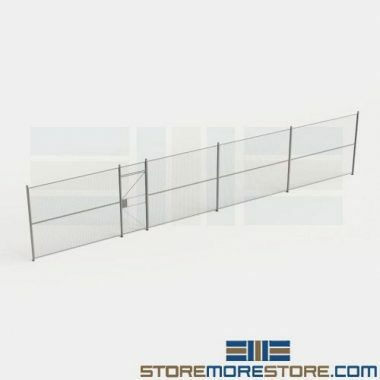 Should you have items of various sizes, the partitions are also completely adjustable. Customize the openings whichever way works best for you. Each shelf rated to hold 250 lbs. 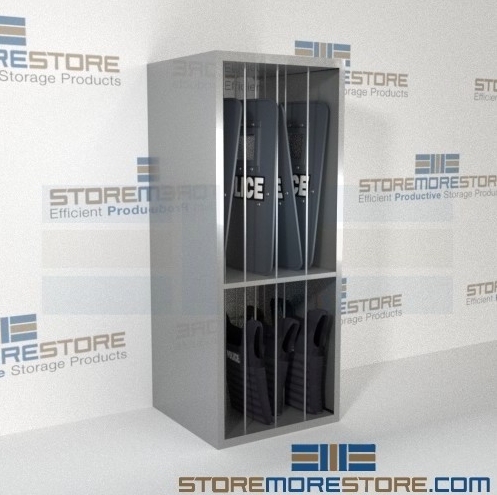 Riot shield storage shelves are available to buy online. For more information or if you need assistance, call us toll free at 1-855-786-766.